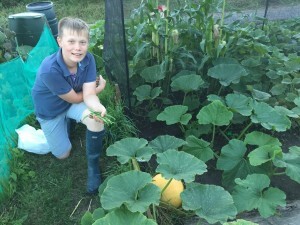 We have just received this great message from Harry regarding his allotment. 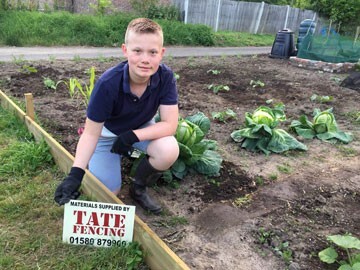 Back in March 13 year old Harry Gunston approached us for some timber to line the border of his allotment because the ones that where there had become rotten. “Thanks from Harry and me for your support in helping Harry with his allotment. The wooden planks, which were kindly donated by Tate Fencing, were perfect for the job. As suggested, please see the photographs below of a very proud Harry with the timber in place, together with more recent photos of Harry with his some of his produce”. 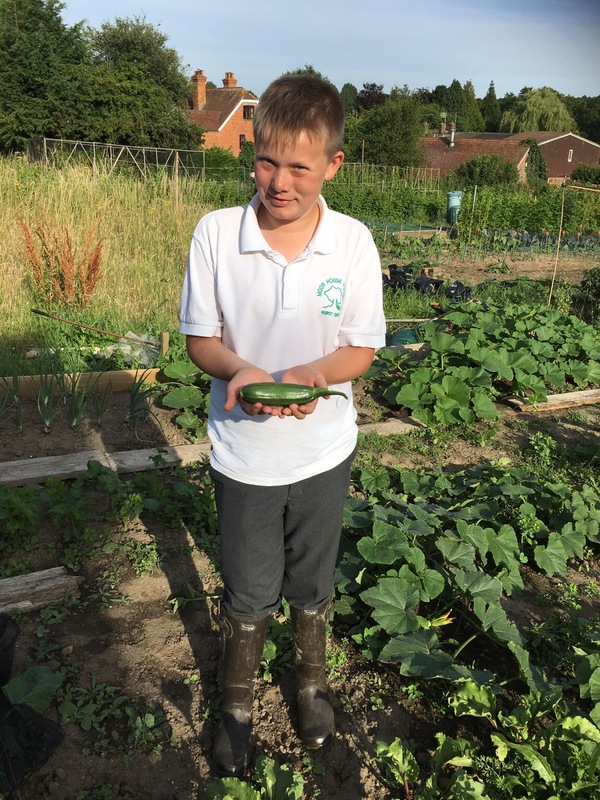 We are glad to have been able to help out, and its great to see his hard work starting to pay off with some great produce. Nice letter from the Kent Poultry Club. Prepare and protect your garden fence this winter!